Properties in St-Pancrace average 4.5 out of 5 stars. Appart. 4 pcs. 66M2,3 guestroom. a bedroom, 2 bathrooms, (sleeps 8). Property 56: Appart. 4 pcs. 66M2,3 guestroom. a bedroom, 2 bathrooms, (sleeps 8). 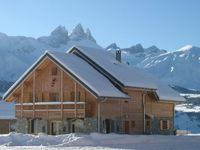 Property 82: Le Corbier top comfort! 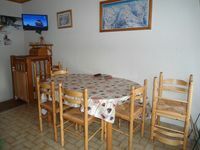 Property 90: Nice apartment 5 people near ski slopes and ski school. Property 94: Superb apartment on the slopes in La Toussuire - Les Sybelles. Studio 4 people near the center and ski lifts. Property 95: Studio 4 people near the center and ski lifts. We have a grate Time on our Vacation. The House was very nice and beautiful. Thanks for all! See you!